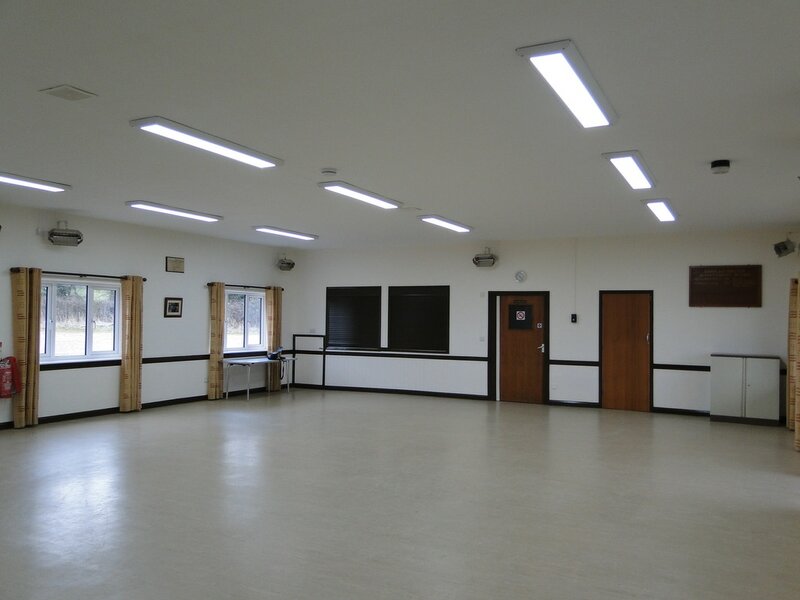 The main hall is 12 metres x 9.5 metres with a floor suitable for dancing etc. Tables and chairs can be provided to cater for up to 80 people in terms of seating based on six persons per table. Crockery can be provided for 80 persons. With an audience based seating arrangement, the hall can comfortably accommodate up to 100 persons. 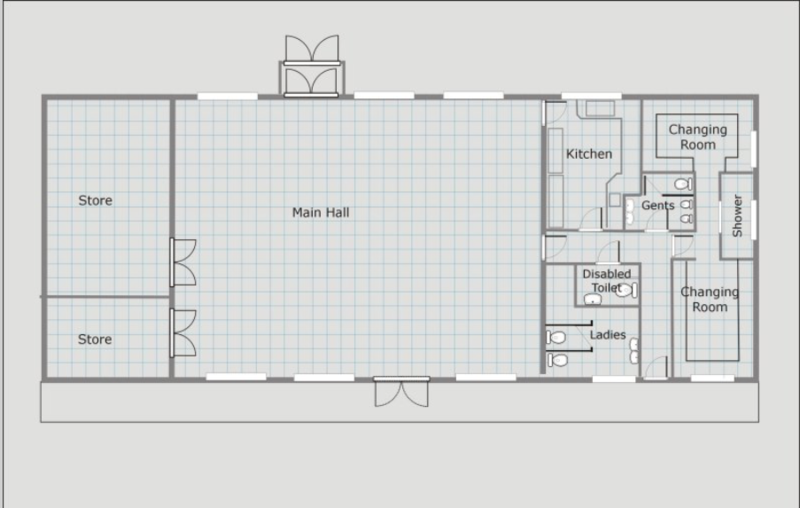 Space is also available immediately behind the Hall to erect a large marquee (provided by the client) and additional chairs and tables are also available. Disabled access and parking is provided to the hall. 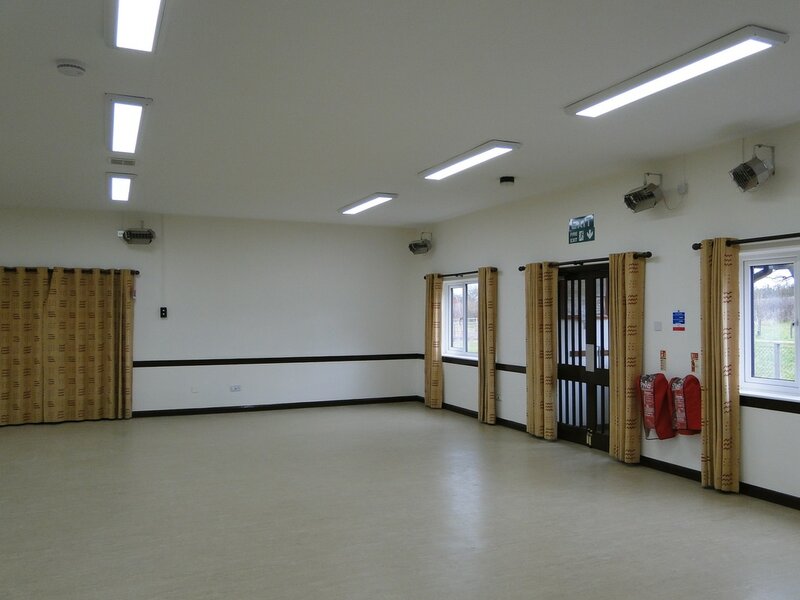 The kitchen was fully renovated in 2012 and is fully equipped with commercial appliances and fittings, with two large counter tops facing onto the main hall. Additional equipment includes cooker, hot cabinets and refrigerator etc. More details can be provided if required. Changing rooms are provided with shower facilities. They support on-site sporting facilities which include two netball courts that also double as tennis courts and a 5-a-side football pitch. Separate male and female toilets are provided. A disabled persons toilet is also provided.